On the left bar are some of our favourite deck builds. All our decking sub frames are tanalith ‘E’ treated redwood with a variety of different deck boards to suit client taste and budget. 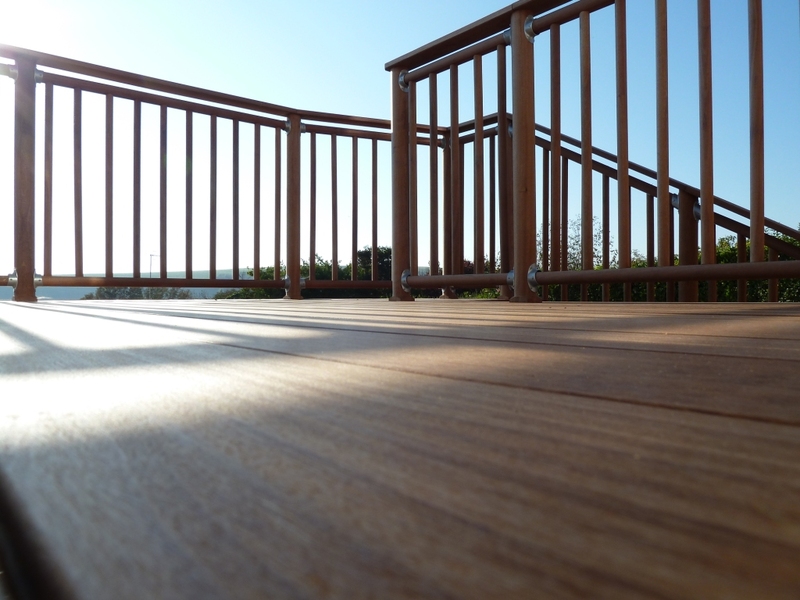 It is very important that decking is fitting with expansion gaps that are suitable for the type of timber used as the deck can literally tear itself apart if these are set incorrectly. The difference in expansion rates between hard and softwood can cause movement that will tear fixings out or shear screws if they are not suitable for the type of application that they are being used for.This will dramatically reduce the lifespan of your deck. How often have you seen an old deck that has curled or loose deck boards?. Fixing too close to the end grain will also cause premature rotting. 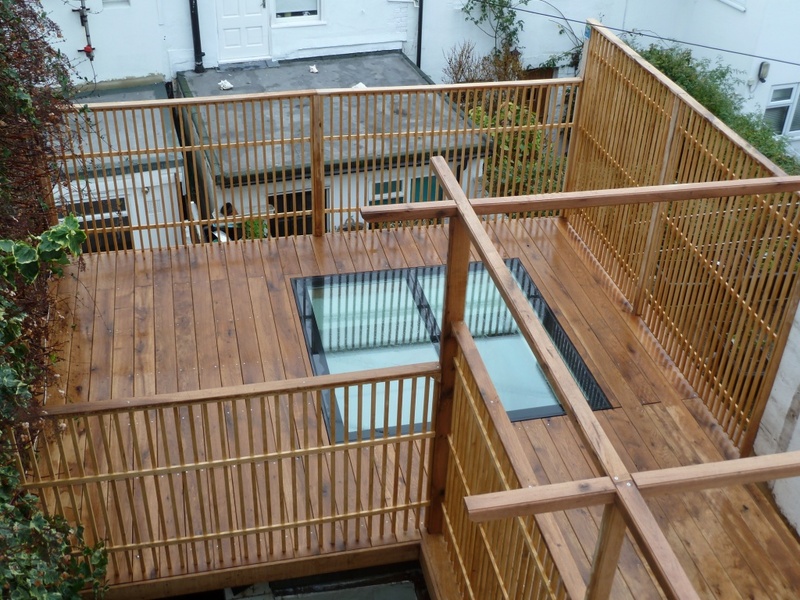 Arbworx have been installing quality decking for over a decade now and together with our workmanship guarantee you know your in safe hands when you stroll out on one of our bespoke installations. Is this where you want to be after a long day? This is a great use of a first floor roof.